Follow these instructions as closely as possible. They are designed to help you heal quickly and comfortably. 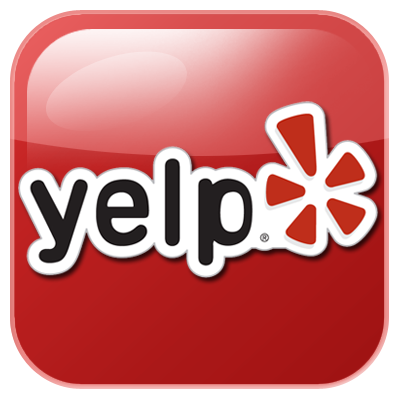 If you experience any complications, please call our office. Intermittent bleeding or oozing is normal. Bleeding should never be severe. If it is, try repositioning fresh gauze to allow you to place firm pressure over the area. Always hold pressure for a minimum of 30 minutes at a time. If bleeding persists you may substitute a tea bag for the gauze. Wet the tea bag with hot water, squeeze it damp-dry and wrap it in a moist gauze. If bleeding remains uncontrolled, please call our office. Gauze will look light pink, spotted, or rusty colored when bleeding is controlled. When bleeding is controlled, gauze may be left out. Often, there is swelling associated with oral surgery. You can minimize this by using the included cold pack or ice bag wrapped in a towel and applied firmly to face or cheek adjacent to the surgical area. This should be applied 20 minutes on and 20 minutes off during the first 12 hours after surgery. In nearly all cases, if you experience nausea it is most likely from your prescribed narcotic pain medication. Allow the nausea to subside and take a smaller dose at your next interval. Often, breaking the tablet in half is sufficient to control pain without nausea. If nausea persists, please call our office. DO NOT CHEW ON YOUR NEW IMPLANT. Chewing on your implant before your surgeon has determined that it is completely healed may result in failure of the implant. Take out gauze packs while eating. Eat any soft, nourishing food that can be taken with comfort. Avoid extremely hot foods while you are still numb. Avoid foods like chips, seeds, popcorn, etc. for two to three months while healing. Over the next several days you can progress to solid foods at your own pace. It is important not to skip meals! If you take nourishment regularly, you will feel better, gain strength, have less discomfort and heal faster. Do not spit or use a straw for one week. If you are diabetic, maintain your normal eating habits as much as possible. Follow instructions from your physician regarding your insulin schedule. We have provided you with prescribed medications for your post-op recovery. Please call our office if you experience any serious side-effects. • Antibiotics - Continue taking all of the medication until the bottle is finished. • Pain medication - Take as necessary.Start with 600-800 mg of Ibuprofen (Advil or Motrin) 4 times a day and supplement with the narcotic as needed. Do not disturb the surgical area today. Do not rinse vigorously or probe the area with any objects or your fingers. DO NOT SMOKE for at least 48 hours following surgery. There may be a metal healing abutment protruding through the gingival (gum tissue). This abutment is hand-tightened and can occasionally fall off. If this happens please save the abutment in a zip lock bag and bring in with you to your next appointment. Keeping your mouth clean after surgery is essential. You have been given a prescription for Peridex oral rinse: Rinse for 30 seconds with one capful of Peridex 2 times a day. Do not eat or drink for 30 minutes following the rinsing.NOTE: Peridex may cause temporary staining of teeth and other oral surfaces. To avoid this, use Peridex only during the first 2 wks of the healing process. After two weeks of rinsing you may start using the soft toothbrush provided for you. This tooth brush is strictly for the dental implant site and not a substitute for your regular toothbrush. Begin your normal hygiene routine the day after surgery. Soreness and swelling may not permit vigorous brushing of all areas, but please make every effort to clean your teeth within the bounds of comfort. • DO NOT USE a Sonicare around your implants until your surgeon gives you authorization. Usually this will be 4 to 6 months. • DO NOT USE a waterpic or electric flossing device. Be aware of any other device or mechanism that can introduce vibrations. These devices can cause implant integration issues. In some cases a temporary appliance is provided by your general dentist for esthetics. This appliance should not put pressure on the tissue. 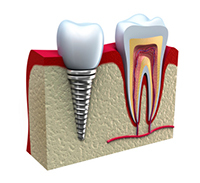 Pressure from the appliance can cause failure of the implant. If pressure is felt from the appliance, it needs to be adjusted by your general dentist. Following these instructions will assist you, but if you have questions about your progress, please call the office at (503) 455-4673. It is our desire that your recovery be as smooth and pleasant as possible. Calling during office hours will allow a faster response, however, a 24-hour answering service is available for after hour's emergency contact with the doctor.